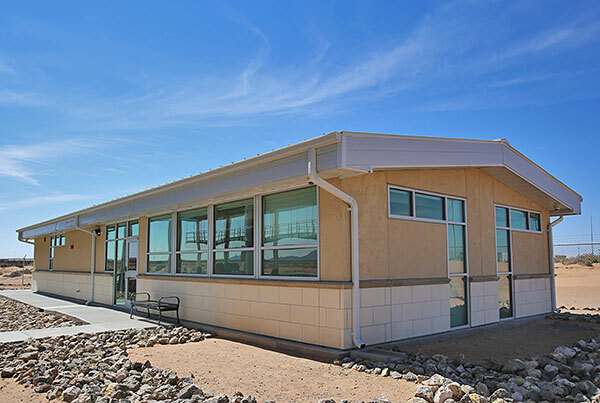 The Palomar Modular Building modular construction method creates significant cost savings and quickly produces buildings in a fraction of the time compared to conventional construction. The controlled fabrication environment and efficient construction cost strategies Palomar employs typically result in cost savings of up to 20% less than conventional construction. Our production efficiency, combined with our manufacturing environment that eliminates weather-related delays, allows us to complete projects up to 50% faster than stick built construction. The manufacturing facility Palomar operates in DeSoto, Texas benefits from years of continuous process improvement, workflow assembly planning, and finely-honed craftsmanship. The skilled technicians on the production floor are capable of fabricating over 7,500 square feet of structure a day. The controlled production environment and material staging system that Palomar’s advanced modular building strategy utilizes allows for a higher level of precision fabrication than conventional construction can offer. Flexible and affordable construction options for retail, commercial offices, and franchises. Portable classrooms, facilities and economical solutions for permanent school buildings. Modular construction is perfect for doctors offices, clinics, dental offices, medical complexes and laboratories. Man camps, oil field housing, mining camps, workforce housing, support services, specialty buildings and administrative offices. Flexible, affordable, and rapid modular construction for apartment, condominium, and multifamily projects. Looking for more? View other industries we work with including student housing, government and many more. Palomar maintains a large catalog of unique modular floor plans available to meet the needs of several industries including education, healthcare, man camps, government, hospitality, military and commercial development. When our customers needs extend beyond our catalog of floor plans, custom floor plan development is available through Palomar’s engineering department. We are thankful to work with a great group of purchasing cooperatives that provide education and government agencies a streamlined purchasing solution. We are also proud to work with several industry associations representing the education and modular construction markets.